A British man is in a coma after breaking his neck in a freak balcony plunge on a Caribbean island. 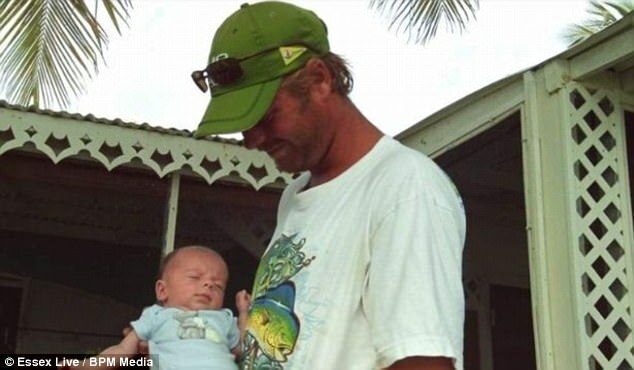 Kurt Russell, from Essex, also fractured his skull and suffered a bleed on the brain after falling from a three-storey building on the Dutch island of Sint Maarten. The 32-year-old father-of-two is now in an induced coma because of the severity of his injuries and his sister has launched an appeal to help pay for his treatment. Mr Russell was helping a friend to move house on December 27 when he fell off the edge of a balcony, according to sister Tyla, 28, from Welwyn Garden City. Although Mr Russell was initially provided medical treatment, hislack of health insurance led to the hospital declining to provide additional care until funds could be provided. The situation forced his family back home to borrow nearly £50,000 from friends and credit card companies. After the colossal sum of cash was wired across the world, Mr Russell was airlifted to the Cayman Islands for further surgery on December 30. 'My mum has borrowed money from everyone,' said mother-of-two Tyla. But doctors have warned her and her family that further money will be required after Mr Russell comes out of theatre. In an attempt to make a dent into treatment costs, Tyla decided to set up a Just Giving fundraising page. She hopes to be able to raise the initial amount borrowed by the family and is urging the public to help them during this tough time. Although the situation has hit the family hard, they have rallied together to support one another. Recalling the moment she discovered her brother had been horrifically injured, Tyla said: 'I was devastated, absolutely devastated. My dad said he felt broken, my mum is so numb - it's just awful. 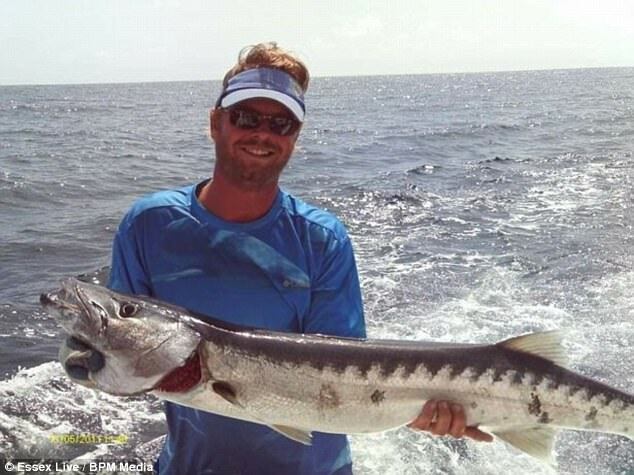 'Mr Russell, who splits his time between Sint Maarten and the UK, initially travelled to the island ten years ago to work on fishing boats taking tourists on trips. Following the devastating impact of Hurricane Irma at the end of the summer, he began to volunteer as a construction worker helping to rebuild the island. Tyla believes that the island's lack of steady jobs, combined with her brother's going back to visit his children who live with their mother in Cambridge, contributed to his decision not to purchase medical insurance. Owing to the young age of his children, six-year-old Alexander and four-year-old Leah, the family have decided not to tell them about his accident. 'He loves his family and kids, they mean the world to him,' added Tyla.